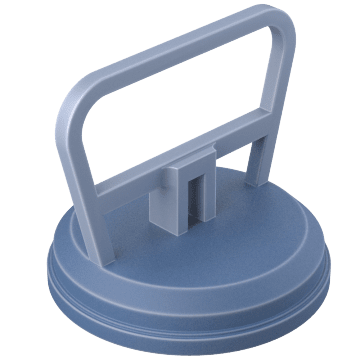 Use the power of suction to attach a carrying handle to a range of smooth, nonporous surfaces such as glass, metal, polished stone, and laminates without marring the surface. 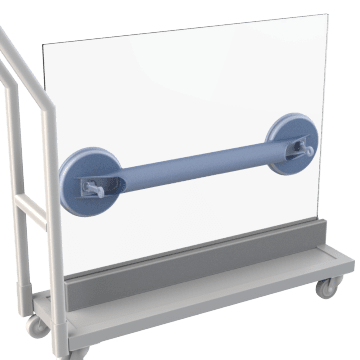 The suction cups or vacuum pads securely attach to the contact surface at a height that's most convenient for the operator to help prevent strain and injury. 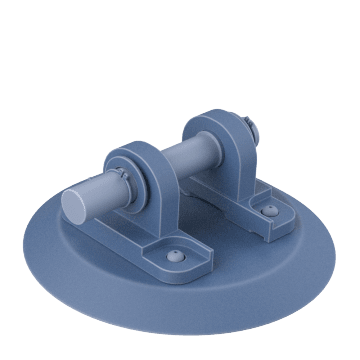 Position these suction cups anywhere on a clean, flat surface to help carry or position large, awkward materials. They have a locking mechanism to help ensure the suction maintains a strong, secure hold. Create a tight, long-lasting vacuum seal with the built-in pump on these cups. They have a release lever to quickly disengage the seal and an indicator to easily see if there's any vacuum loss. If vacuum pressure is lost, the built-in check valve system allows you to pump it back up without any further loss of pressure. 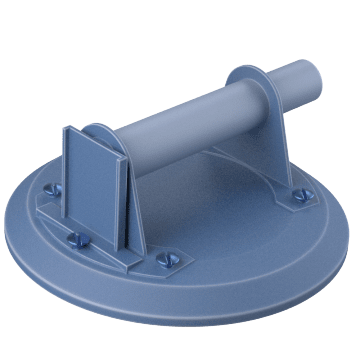 With a concave rather than flat vacuum pad, these suction cups create a strong hold on flat as well as slightly rounded surfaces like windshields. They have release tabs to quickly disengage the seal and an indicator to easily see if there's any vacuum loss. If vacuum pressure is lost, the built-in check valve system allows you to pump it back up without any further loss of pressure.